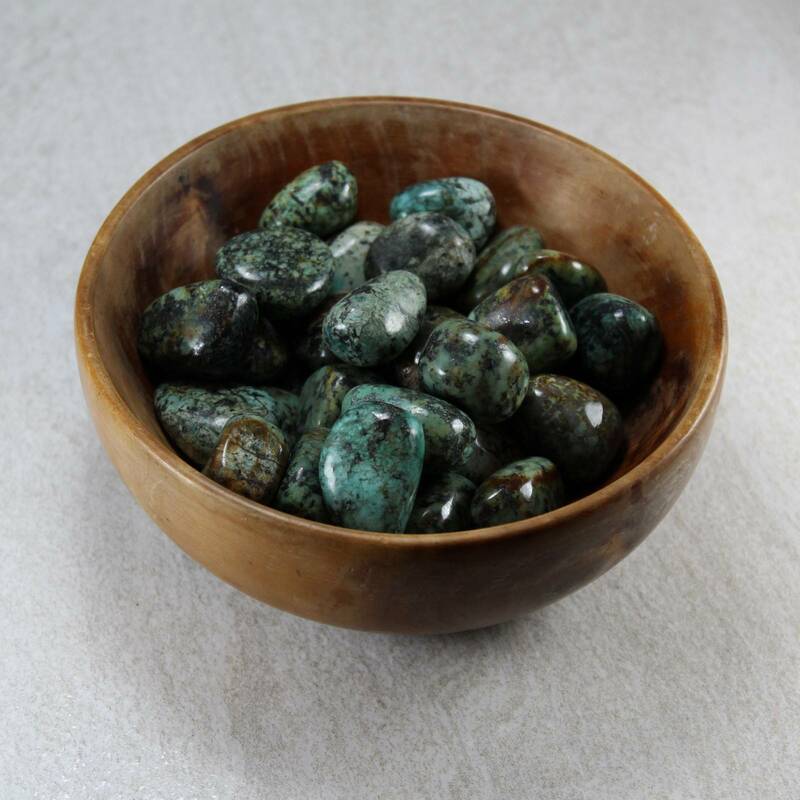 Lovely aqua coloured African Turquoise Jasper tumblestones – a Turquoise substitute. 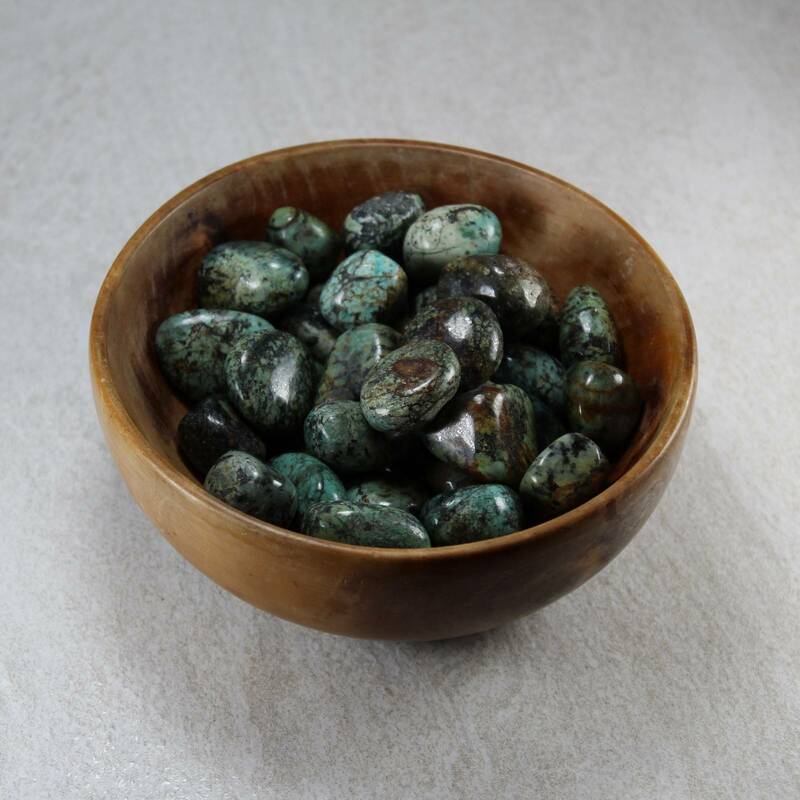 African Turquoise tumblestones, in mixed sizes – typically measuring between 15 and 30MM approximately. These stones are unusual! They are not actually a form of Turquoise at all – but a form of Jasper mined in Africa! 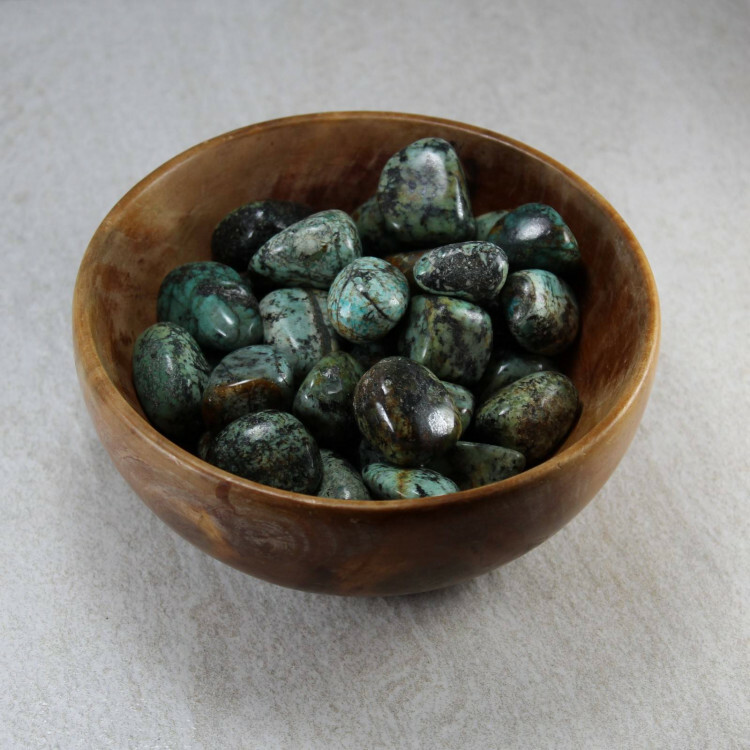 African Turquoise is merely a trade name for these stones, given due to the fact they do look quite a lot like Turquoise. They are harder than Turquoise, which is handy for tumblestones. These are nice green and blue stones, typical of Turquoise. They do have a large amount of black, grey, and brown matrix stone around them. For a list of our Turquoise products, and for more information about the stone in general, please see our main ‘Turquoise’ section. If you’d like to know more about this stone, we recommend having a look at our ‘African Turquoise Jasper’ page.